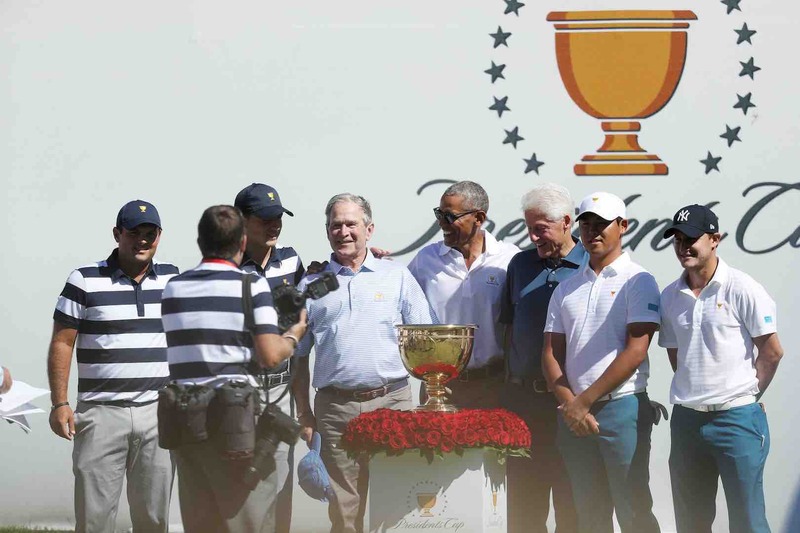 A trio of past Presidents of the United States of America attended the opening of the Presidents Cup, but there was one very notable absentee. 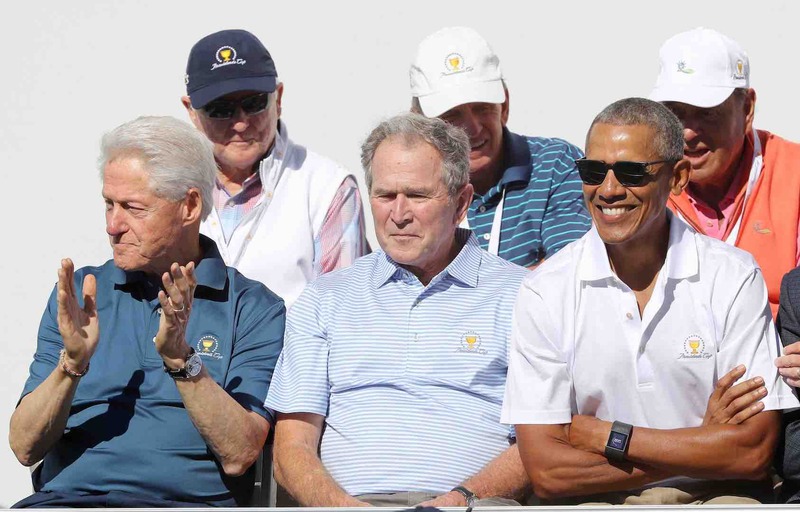 Barack Obama, George W. Bush and Bill Clinton were all present and correct at the Liberty National Golf Club in New Jersey, but current US POTUS, Donald Trump, was a no show. It was the first time that three former presidents had attended the event at the same time since it began in 1994. 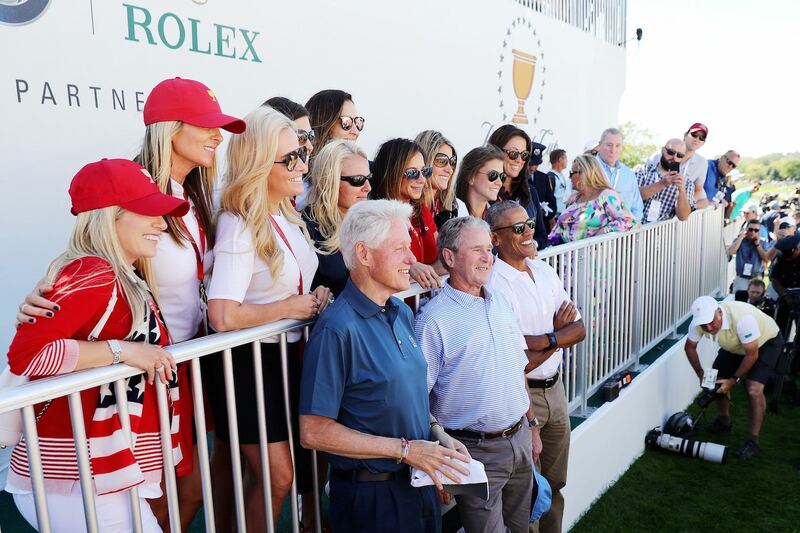 The three former POTUS happily posed with players and wives during the opening ceremony. "Those were three of the most powerful men of their time. "Icons, honestly. And they all said the same thing: 'Guys, we can't pull for you, but we want you to have a good match.' They were great. Of course, you're not going to pull for us. You guys are Americans. 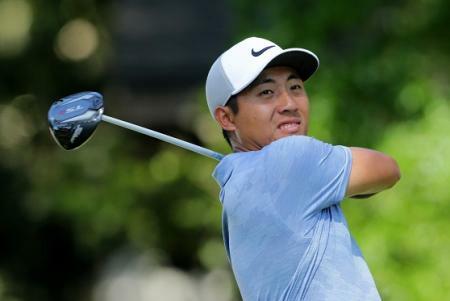 “But they're golfers, and they're great sportsmen, too. And our boys really appreciate that." 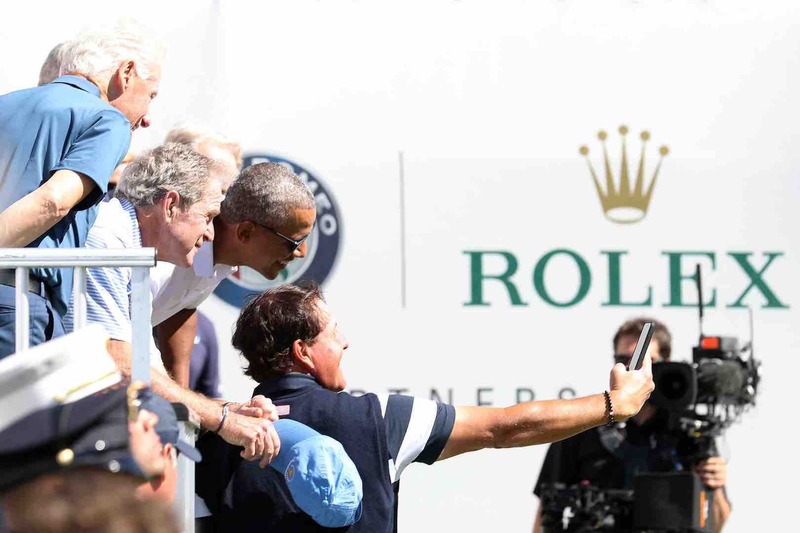 Phil Mickelson also got in on the act and posed for a selfie the trio of formers Presidents. Mickelson only managed to get part of his face into the picture, and said: “I’m so bad at selfies”. But he went onto say: "How can you not do that when you have three of our presidents? "And their presence really means a lot to this event. That's what it's about. 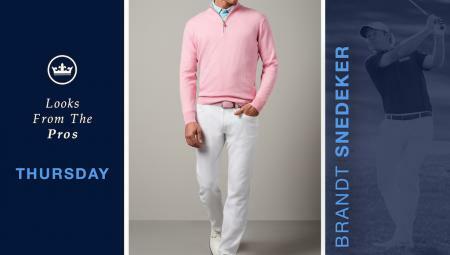 It's the Presidents’ Cup. “And for those three to come here and be a part of it was very special, and I just took advantage of the opportunity." 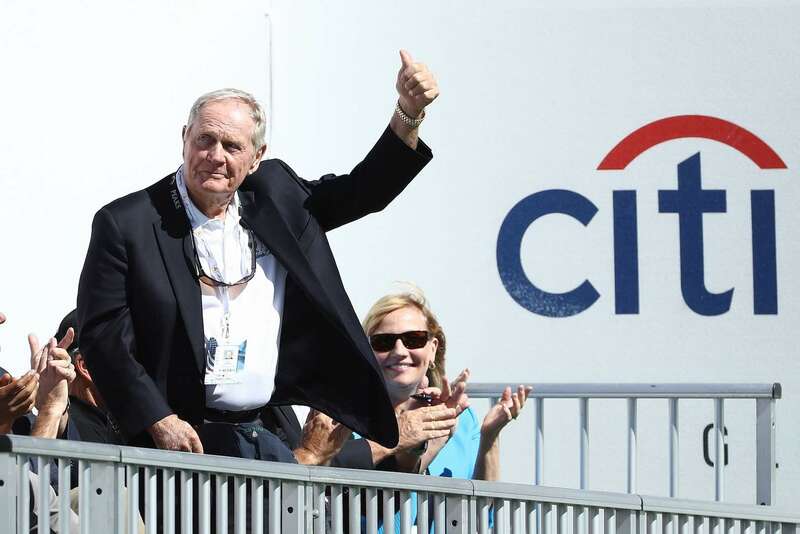 There was also golfing royalty at the event, as Jack Nicklaus was also in attendance. But there was not a whiff of Trump in the air.